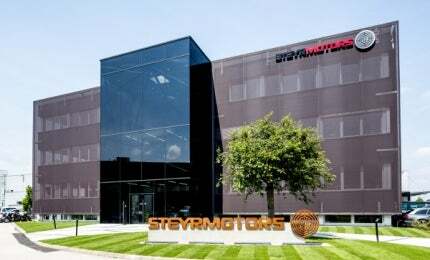 STEYR MOTORS is the specialist for diesel engines out of the earlier Steyr-Daimler-Puch group of companies. 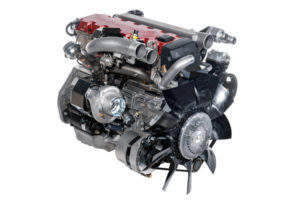 The company has a worldwide reputation for being an expert in engineering and manufacturing of high-performance diesel engines and diesel-electric systems. The high-quality engines of STEYR MOTORS are designed for diverse applications at land and sea, especially focusing on light tactical vehicles (LTVs), utility task vehicles (UTVs) and all-terrain vehicles (ATVs), as well as amphibious vehicles. The land solutions are topped off by stationary aggregates and portable power packs. 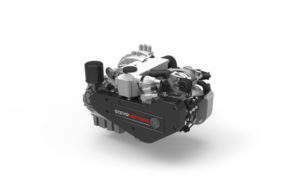 With regards to marine applications, STEYR MOTORS offers propulsion systems for commercial and leisure boats, though specialising in high-performance engines for work boats and fast rescue boats. The outstanding durability and the remarkable power to weight ratio makes the marine engines a preferred choice by international organizations and defence institutions. 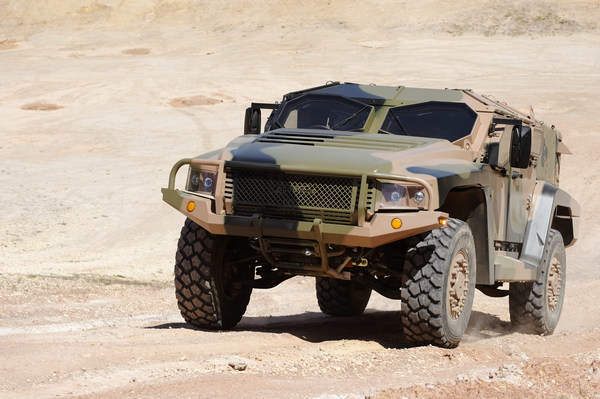 Decades of engineering and manufacturing of diesel engines for all kind of commercial and military vehicles resulted in the development of the STEYR M1 (Monoblock) engine family. The STEYR Monoblock engine family consists of a number of design solutions which are the key for highest power density, durability and safety in operation under all operational profiles and environments. 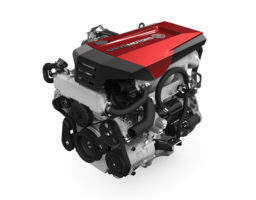 Due to the exceptional cooling behavior and the reliable operation, the engines achieved a unique image with vehicle and boat manufacturers and operators worldwide. However, the compact and lightweight design of the engines and aggregates is just as important – the power to weight ratio of STEYR MOTORS’ products is one of the best on the market. Combined with the flexibility and skills in adapting and developing the products to powerful individual solutions, these are the key competences of the company. The products of STEYR MOTORS are highly specialised with regards to operational safety, power density, cost effectiveness and robustness while remaining compact and lightweight. The basic product range comprises two, four and six-cylinder diesel (and diesel-electric) engines and aggregates. New additions to the product portfolio include a single-cylinder engine with 12kW mechanical output, a new horizontal twin cylinder at 40kW, enhanced four- and six-cylinder engine series with up to 225kW mechanical output, and a new E-machine with 40kW electrical output in generator mode. The possibility to combine all engines with the new STEYR MOTORS E-machine results in an additional range of complete generator sets, range extenders or auxiliary power units for different vehicle, marine, railway and industrial customers. These small and lightweight hybrid power units are strong solutions for various purposes and applications. The new supercharged four- and six-cylinder engines up to 225 kW enable improved total cost-efficiency, higher payload and reduced installation space, which correlate with the current and future demand for downsizing heavy duty and industrial engines. In addition, STEYR MOTORS offers highly specialized engineering services for products tailored to specific requirements – from engine concepts and prototypes to series production. STEYR MOTORS originated from the former Steyr-Daimler-Puch group and was founded as an entirely independent company through a management buyout in 2001. The company is currently owned by a private Chinese investment group (PTC), which invested heavily in the expansion of the Austrian headquarters and several new R&D projects. The investment boosted the company’s production capacity and increased the engineering power, thus ensuring STEYR MOTORS global position as the engineering specialist for tough requirements. Global availability and customer service is guaranteed by an extensive network of dealers, distributors and business partners in addition to STEYR MOTORS’ subsidiaries handling respectively the US and the Asian markets. STEYR MOTORS presents its latest innovations at DSEI 2017: extraordinary robustness meets highest efficiency. STEYR MOTORS originates from the former Steyr-Daimler-Puch group and was founded as an entirely independent company following a management buyout in 2001. 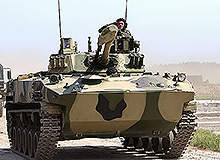 The BMD-4M is a new generation amphibious infantry fighting vehicle (IFV) manufactured by Kurganmashzavod JSC, for the Russian Army. 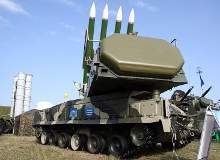 Buk-M2E (NATO name: SA-17 Grizzly) is a medium-range advanced defence missile complex (ADMC) designed and manufactured by Almaz-Antey, primarily for the Russian Army. After several successful projects with joint forces in the last years, the Austrian shipyard ÖSWAG Werft Linz and engine manufacturer STEYR MOTORS announced their official partnership, effective from June 2016. With the approach of 2016, STEYR MOTORS launched its longstanding engineering competence as a separate business field instead of keeping it integrated in each of the specialised fields (vehicle, marine, industrial). Founded in 2001 as an independent company, this year the Austrian engine manufacturer and engineering specialist STEYR MOTORS is turning 15. Renowned Austrian engine manufacturer STEYR MOTORS and experienced Italian company Scandiesel Marine proudly announce their new partnership to service the Italian marine market.